Longchamp is the overly hyper, eighth generation Tomaso boss-in-training. He happens to attend the same school as Tsuna, but they first meet in their second year when Longchamp ended up in the same class as Tsuna. 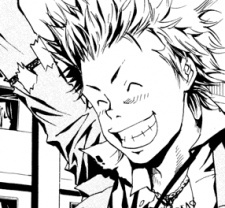 Unlike Tsuna, Longchamp is optimistic and is excited about everything, including being part of the Mafia. Though their families are rivals, he constantly befriends Tsuna, even inviting him to his house and going on group dates. Longchamp is known to have a unique taste in women; also, he usually has a new girlfriend every time Tsuna meets him. Some of these girls do not seem to like him so much and may actually despise him.